Shiba Inu HQ helps you find all the information you need to keep your Shiba healthy and happy. Do you own a Shiba Inu? Would you like to learn more about their nutritional needs? The Shiba Inu is a small sized dog breed known for its keen hunting skills and tracking behavior. For the most part, Shibas are not highly active dogs—like the Border Collie or Springer Spaniel. This means that most Shibas will not require a high energy demand. Shiba Inus are fussy little dogs! Many Shiba Inus can get quite picky and go off their food. This is why, it is highly recommended that Shiba owners add different kinds of flavor enhancers to excite their dog. 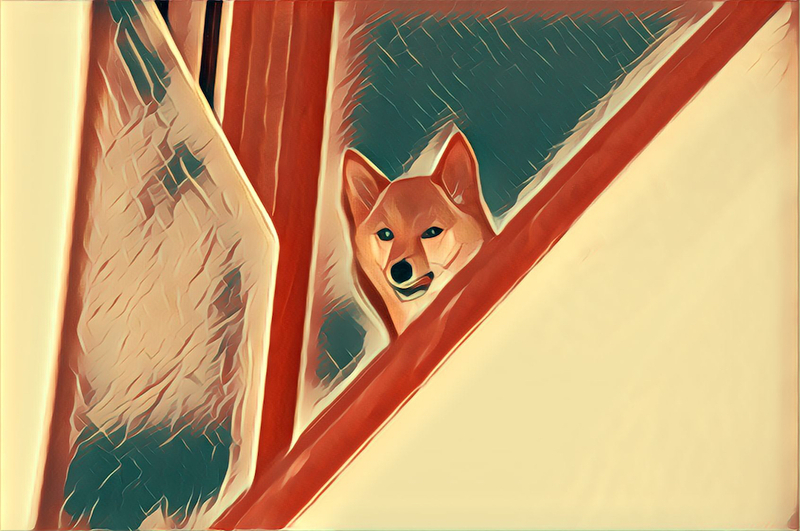 Change your Shibas food up! Add wet food- chicken one day, venison the next! Add crumbled treats like freeze-dried liver. When feeding a Shiba Inu, look for the highest-quality dog food available in your area. High-quality dog food tends to be easier to digest, causes less health problems, and increases your Shibas longevity. Don’t neglect wet food! Pet owners often think that by feeding wet food to their Shiba, they are spoiling their dog. Wet food is healthy and is high in protein! Wet food also has a high moisture content- unlike dry food. The only known breed specific dog food for Shiba Inus are the ones by Royal Canin. Now, the Royal Canin Shiba Inu dog food may be hard to comeby, but hope is not lost! When choosing dog food for your Shiba, look for dog foods designed for small breeds. As the Shiba Inu isn’t considered a high-maintenance, high-energy breed, you can expect to keep them on a maintenance diet. By definition, a maintenance diet is a diet that simply keeps a dog at normal weight. This means that on a maintenance diet, a dog is neither gaining nor losing weight. In order to keep your Shiba on a maintenance diet, you simply need to feed them the recommended daily cups as per their body weight and size. Proteins are known as the “building blocks of life,” and for good reason. They build and repair muscle and other body tissues, help create new skin cells, aid hair growth, regulate a dog’s endocrine system, boots their energy, and maintain the immune system strong and healthy. How much protein your dog will need depends on their age, size, and activity level. Bigger dogs need more protein to maintain their muscles, sick or injured pups need more protein to recover faster, and pregnant and lactating dogs will also need more protein to meet their needs. The more a dog exercises, the more protein they will need; the older a dog is, the less protein will be necessary. Protein is made up of amino acids, around 22 to be exact. Dogs can produce some amino acids on their own, and some they can’t. That is why it’s important to include the right amount of protein in a dog’s diet every day, only this way can they get the 10 amino acids that are essential to good health. Carbohydrates are one of the body’s energy sources. They are broken down and converted into glucose in the small intestine. Glucose works the same way gas does in a car — it gives cells the energy needed for them to play their roles in the body. Glucose is also necessary to keep the brain and the nervous system healthy and functioning well. When glucose is consumed in too high doses and the dog doesn’t exercise frequently glucose is turned into fatty deposits and can cause obesity. Dietary fats are important for dogs as they, too, provide energy to the body. They are sources of essential and much needed fatty acids that the body can’t produce by itself. Fatty acids play an important role in keeping cells healthy and well-functioning and act as carriers for fat-soluble vitamins, enabling the body to absorb and utilize them. Dogs also need fatty acids to keep a nice and healthy coat and skin. The two main fatty acids dogs need in their diets are omega-3 and omega-6. Energy needs are adjusted for each dog depending on their breed, size and lifestyle. It’s important to study your dog’s energy needs with the help of a vet or a dog nutritionist, otherwise you could be giving them too much or too little food and triggering problems such as malnutrition or obesity. Active dogs require more dietary energy because they spend more on physical activity when compared to less active dogs. Puppies, pregnant and lactating dogs also need more energy to meet their daily requirements. Vitamins and nutrients can sometimes be overlooked, but they play essential roles in a dog’s health, for example taking care of bone, neuron, and enzymatic health. The list of minerals dogs need to get through food has twelve items on it — calcium, phosphorus, magnesium, sodium, potassium, chlorine, iron, copper, zinc, manganese, selenium, and iodine. Vitamins can be consumed at much lower levels, but they still need to be present in the diet. The most important vitamins are vitamins A, D, and E. They’re responsible for keeping the brain healthy, promoting good eye health, and good motor functions, among other things. Shiba Inus are truly a peculiar dog breed! Sometimes, new pet owners may find it difficult understanding the feeding requirements of a Shiba Inu. So, to make things much easier, we have answered the top FAQs you might have on a Shiba Inus Diet. How much should I feed my Shiba Inu? 30 X Weight (Kgs) + 70 = Daily caloric intake. Can my Shiba Inu eat fruits and vegetables? Yes! Shiba Inus can eat fruits and vegetables! In fact, it is highly recommended that owners add fresh fruits and veggies as it makes their Shibas meal a whole lot healthier. Should I feed my dog raw food? The Raw Food Diet trend is certainly one that has fascinated owners.In fact, more and more dog owners are compelled to feed their dog a raw food, raw meat diet—why wouldn’t they be! Dogs are natural born carnivores right? Increase the chance of you obtaining dangerous bacterial infections like Campylobacter, Cryptosporidium, Toxoplasma, Escherichia coli, and Salmonella. Now, there are many negatives to feeding raw food! But, remember it’s not a bad idea to add “fresh food” in your dog’s’ diet. Instead of feeding raw meat, try and combine cooked meat, fruits and veggies into your dog’s’ food bowl- along with their kibble! Shiba Inus- Feed them Well! Understanding the nutritional needs of a Shiba Inu isn’t difficult! For the most part, the feeding guidelines of a Shiba Inu would be a lot similar to many other small breed dogs. The important take home messages here is that pet owners should remember to choose quality pet food that contains wholesome ingredients. Do you have a question about your Shibas food? Let us know! Sign up for our newsletter to get new articles once a month.